Now that we’ve covered the Westward Journey nickels, we might as well cover the rest of the Jefferson nickels — including the ever-popular war nickels. I’ll talk more about those silver war nickels in just a moment. Let’s start with a basic rundown on the Jefferson design, which you can find in everyday pocket change. U.S. nickels are made of a composition consisting of 75% copper and 25% nickel — with the exception of war nickels (which I will get to in a minute). The Jefferson nickel was designed by Felix Schlag, who won a $1,000 award for his design in a competition of nearly 400 artists. The first Jefferson nickels were made in 1938, and we are still using these coins today! So, if you’ve got old nickels from the 1930s, ’40s, or ’50s, you’re probably wondering what they’re worth. Other nickels from the ’30s, ’40s, and ’50s are worth anywhere from 10 cents each to $1 or more, depending on the date and condition of the coin. Worn nickels from the 1960s and later are generally worth face value, unless they exhibit errors or die varieties such as doubled dies. 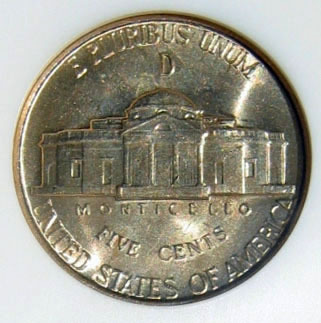 All war nickels (which were made from 1942 through 1945) have a large “P,” “D,” or “S” mintmark over the dome of Monticello on the reverse of the coin! In fact, the 1942 Jefferson war nickel marks the first time the Philadelphia Mint ever used a “P” mintmark on a United States coin. Here’s how much Jefferson war nickels are worth. Are U.S. Nickels Worth Collecting? If you’re going to collect nickels, a collection of Jefferson nickels can be completed pretty inexpensively by simply buying them from a coin dealer. 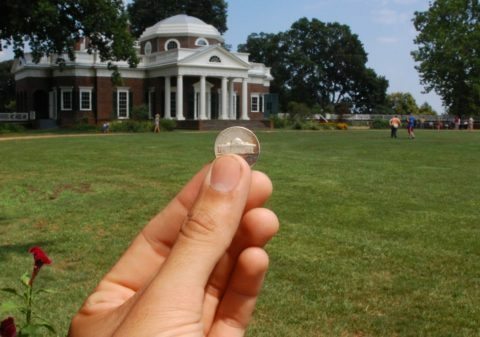 You can also find most Jefferson nickels rather easily in your loose change, if you look closely. A little coin roll searching will help, too! Here’s a list of Jefferson nickels 1938 to the present. If you’re hoping to assemble a high-grade set of Jefferson nickels, you’ll need to buy them from a coin dealer. Thankfully for those who want affordable options, even uncirculated and proof Jefferson nickels are still budget-friendly.